As excited as I was to have surpassed my Light the Night goal, to help fund cures for blood cancers, I found myself a bit sadder this year, than in years past. I am sure that one of the reasons I was feeling "blue" was due to the fact that I had just returned from an eleven day trip visiting kids, grand-kids, family and friends, along with a visit to my oncologist.These trips are always wearing, even though I enjoy them immensely. That coupled with the fact that my grandest "pooh-bah", Alisha, was no longer heading up the Boise chapter of the Leukemia & Lymphoma Society. I understand why she is no longer there, and the gals in the office are still awesome, but she is still sorely missed! Alisha was one to "fight" for patients like me, that are surviving, yet still in treatment; we are Fighters! We do not quite fit into the "Survivor" category, and she understood this, so for the past three years, she made certain that those of us still fighting the good fight, had Survivor/Fighter shirts for the walk. It looks like now if I want to "fight" for these shirts, I will have to take up the fight nationally, without my greatest cheerleader! As we were walking around the park, checking out the event, I noticed a few changes, and was told that from now on, everything must be the same at every walk, per "National Standards"; hence the short sleeve t-shirts, despite the fact that we are in Boise in Oct.! Brrrrrrr...... And no "Reflections of Life" wall. They had a new blow up "In Memory" igloo, where I met a sweet young lady named Abby; she was a volunteer, and her father is battling colon cancer. She asked me when I finished my treatment and what type of blood cancer I had; and there it was......on my shirt it said I was a Survivor. I had to go into the song and dance of, "Well, I am actually still in treatment, and will be for the rest of my life, or until a cure is someday, hopefully found." I told her that in the past we had "Fighter" shirts and she wholeheartedly agreed that there should be a separate category for those of us, still in treatment. She said her Dad is fighting hard every single day, and they are all looking forward to the day which he completes his treatment and is cancer free; that is when they will consider him a "Survivor!" I find it interesting that this sweet, young girl understands this concept better than the organization that actually hosts this walk, and I pray for her and her family, and especially her father to beat his cancer and to become a true Survivor! As we were talking, just inside the "Memory Igloo," I found that I just could not write down all of the names, of all of the dear people we have lost, to CML. Every year my list gets longer and longer, and this year, I think partially because I was just so exhausted, I simply couldn't do it. It just made me too sad, and the list has become too long; sometimes things are just too overwhelming, so I allowed myself this get out of jail free card, and accepted the fact that I was drawn to this igloo, so that Abby and I could meet, and give each other strength; for this I am grateful. After leaving the tent, I continued to become more aggravated because I was walking around with a shirt that implied I was a "Survivor," just like all of the people who have lost their battles with CML would have been considered. Fact of the matter is that they were all "fighters" fighting every day, still in treatment, yet lost their battle to CML. 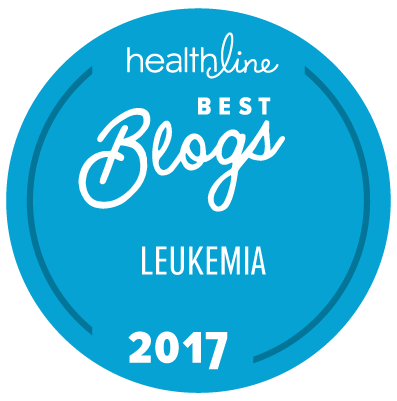 Yes, they survived living with CML, for a period of time, until they could no longer fight; they were "Fighters" in every sense of the word, from the first moment that they were diagnosed with chronic mylogenous leukemia, till the very end. While I wholeheartedly believe in the power of the Light the Night event, I do wish that they would recognize the awkward position which they put the patients that are still fighting their battle with a blood cancer, in. They do not understand how disheartening it is, to have so many people congratulating you on "beating" your disease, when in reality, you are still fighting for your life. This is not limited to those of us that live with a chronic blood cancer, but to each and every person that is in the throes of treatment, fighting every single day. You can see the differences, in the eyes of people who have completed their treatment and are "cured' and those that are still fighting. I am not certain that I have the energy to fight this fight alone, to get the LLS to start recognizing all of the patients that are still in treatment for their blood cancer, as a separate category, as a "Fighter" category, but with the help of others, we may be able to get them to actually recognize the specific people, which they are fighting so hard, to help. I have been in contact with my local chapter and they thought is was a very interesting point. Do you have any pics of the fighter tshirts you had previously? I would love to send them a pic. OMG!!! I MUST HAVE MISUNDERSTOOD AS I THOUGHT THEY DID DO THE STILL FIGHTING SHIRTS!!!! THIS MAKES ME SO ANGRY. FROM THE VERY FIRST TIME THAT I SAW THE SHIRTS, I THOUGHT THE EXACT WAY AS YOU THOUGHT! STUPID. AND I AGREE WITH YOU THAT THINGS WEREN'T EXACTLY UP TO PAR THIS YEAR, BUT ALISHA DIDN'T MAKE ALL OF THAT STUFF HAPPEN YOU KNOW. THERE ARE MANY PEOPLE INVOLVED SUCH AS, SUSIE, ME, VOLUNTEERS, LAUREN, JULIA, JULIE, ETC...JUST SO YA KNOW. I LOVE YOU, MICHELE !!!!! !